Buy the Farm . . . Share: I'm the Worst Dad so Just Cool It! Jen worked late this evening so I picked up the guys from day care and headed home where I had lofty plans for what I would get accomplished this evening. 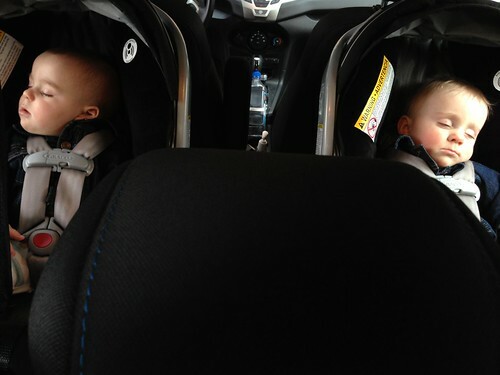 By the time I pulled into our driveway both the guys were asleep. This is never a good sign for what's to come. This meant I would have to wake both of them up to feed them. My instinct always leans toward just putting them straight to bed but I'm pretty sure that would just result in an extremely stress-filled evening starting at 9:00 PM when they awoke realizing they were starving and demanding dinner. As bad as it seemed, waking them up was probably the right thing to do. 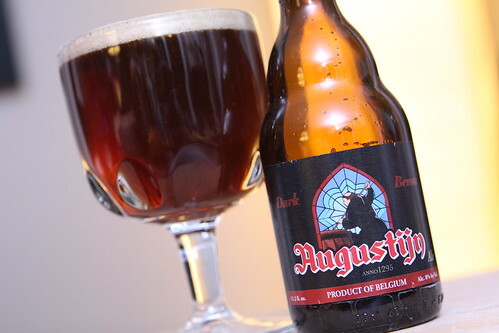 A few nights ago I thoroughly enjoyed this Augustijn Brune from Brouwerij Van Steenberge. It was a great Belgian dark ale with dark fruit notes and a wonderful malty flavor. Tonight I figured I'd be able to do more than just enjoy a single beer and go to bed. I was on Mr. Mom duty and I was confident I'd have both babies asleep by 8:00 PM and have the rest of the evening to myself. This morning Martin reminded us how ill-prepared we are to be living with mobile babies as he attempted to climb out of his crib. This was a terrifying moment for us as it reminded us of the horrible truth that we have done far too little to prepare ourselves for wandering babies. After getting the babies to sleep Elliott soon woke up and would not stop fussing. He did the same thing a few nights ago and this resulted in me sleeping with him on the couch for most of the night so that Jen could get some rest. Tonight it was a little different. I fed him and fed him and fed him and he still was screaming. 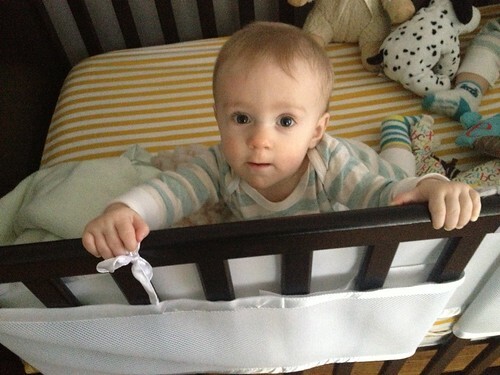 Finally I just put him in our bedroom and let him cry it out for a bit while I did the dishes. I gave him ten minutes before I went in to check on him. After eight or nine minutes he started getting more frantic so I went in and what I found was my poor, sweet son lying in a puddle of his own vomit on our bed. I immediately scooped him up and brought him to the bathroom where I proceeded to bathe him. He cried unlike I've ever heard him cry before and I think it was because he must have had some vomit go down the wrong pipe as he lied there on the bed thanks to his neglectful father. 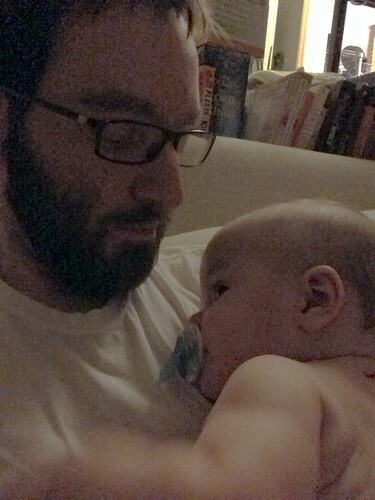 After drying him off I cradled him in my arms to try to soothe away the fact that I was the world's worst dad. 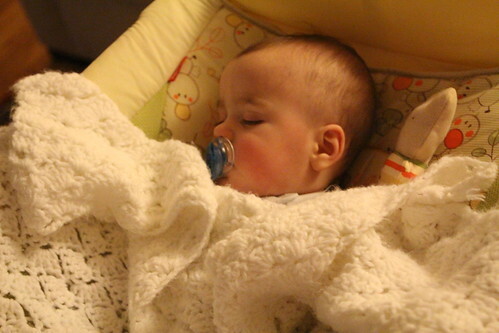 After a bath, some snuggling, a clothing change, and a little music he fell asleep and I was able to put him back in the nursery and return to my role as the worst father on the planet. 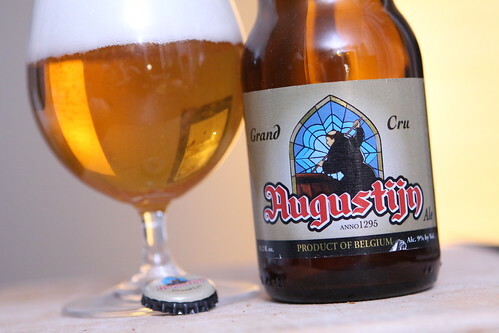 After that harrowing experience I uncapped a bottle of Augustijn Grand Cru, again from Brouwerij Van Steenberge. This was another beer given to me by my parents for Christmas and it was quite nice. It was very reminiscent of Champagne in style. The label said it clocked in at 9.0% ABV. Based on how I felt after one glass I think it was a little closer to 25% ABV. It could have been that I didn't eat for seven hours or maybe it was just dealing with my poor, sick child. At any rate I was glad to not have to drive anywhere any time soon. The world's worst dad is also a lightweight.